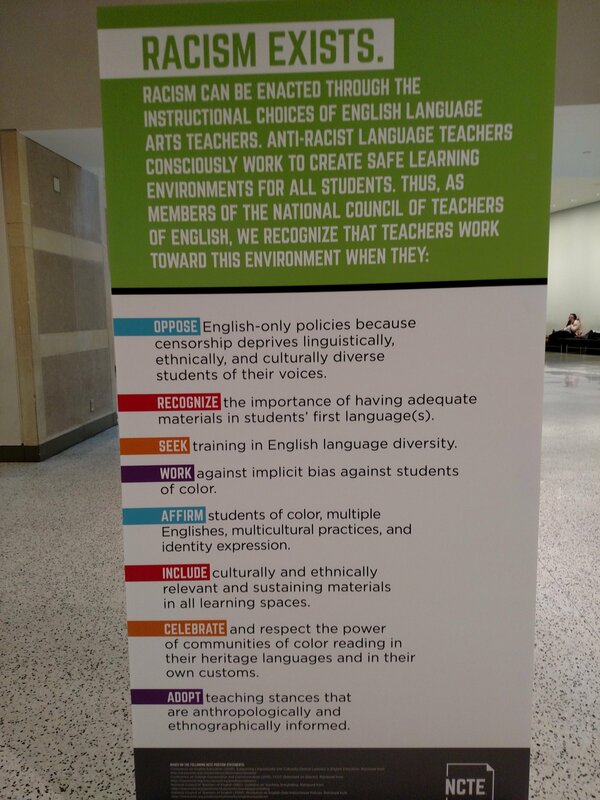 Do we really want this kind of divisive identity politics in our classrooms? This district has bemoaned they need MOAR money year after year, but they have the money to hire two women to indoctrinate our kids? Johnny can’t read. Susie can’t do math. But let’s hire more “diversity” staff? Is it any wonder school choice is booming, especially in Wake County? Parents of Wake County, ENOUGH IS ENOUGH. Is it time to protest yet? Who is this woman? 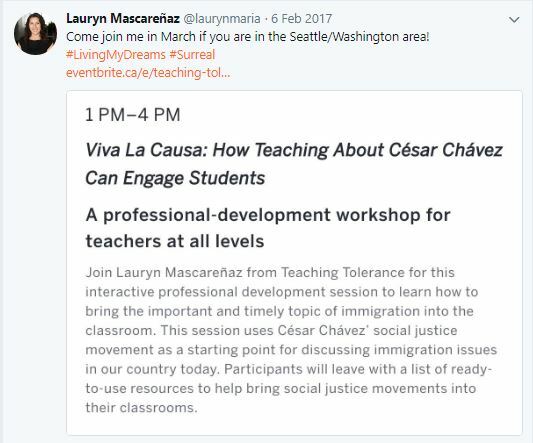 A pure social justice warrior right out of Southern Poverty Law Center’s education indoctrination arm, Teaching Tolerance. Mascarenaz doesn’t appear to be a North Carolinian either, much less a Wake County resident. Her location on Twitter puts her in Alabama. What does Mascarenaz think about white folks? Well, they need to check their privilege. Even at the NY Times. Not alarmed enough yet? Let’s look at Teaching Tolerance, where Mascarenaz hails from. Lauryn has 10 years’ experience as an elementary classroom teacher, literacy instructional coach and culturally responsive trainer. She holds a bachelor’s degree in American Studies and a master’s of education degree in culturally responsive teaching, both from the University of Colorado. Lauryn has a passion for educating teachers on engagement strategies and is particularly interested in closing the opportunity gap for young males of color. What it doesn’t say is closing that gap by demonizing all other young males, their parents and whoever else fits into the white guilt/ white privilege narrative. Go read her articles while they are still up. One you should not miss is “Teaching the Inauguration” in which she promotes the anti-semitic and radical Women’s March. I’ve written in detail about Teaching Tolerance and their goal of turning school kids as young as 5 years old into little social justice warrior activists. I’ve also written about how social justice crap is crowding out actual academics in our schools – using our own tax dollars. In addition to hiring an SPLC hack, the “Office of Diversity Affairs” has also hired a white guilt ridden teacher out of Durham. 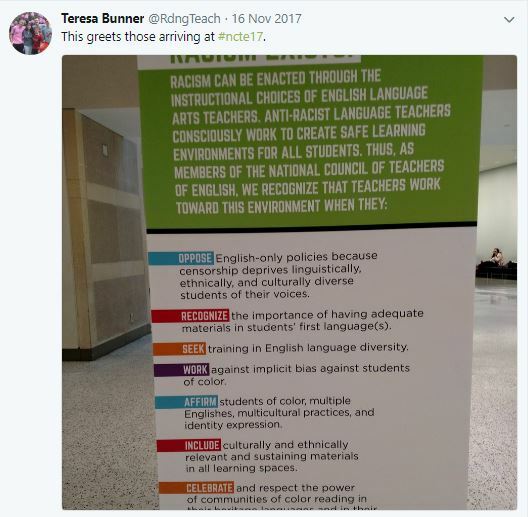 Meet Teresa Bunner of Project READY, a group formed to train Wake County school staff on “diversity issues” which include white privilege narratives using Southern Poverty Law Center materials. Project READY refused to comment when asked about their materials. Instead, they shoved responsibility for responding to the WCPSS communications department. Read about Project READY here and pay attention to their use and interest in using Social Emotional Learning (SEL). 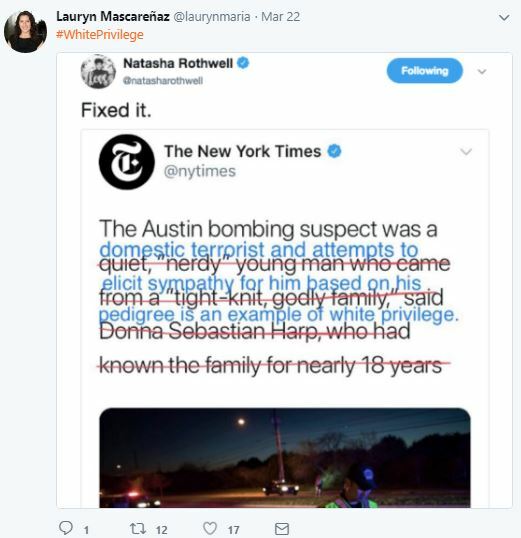 Everything in this woman’s Twitter timeline is about social justice, specifically race. Here is a full view of the poster above. 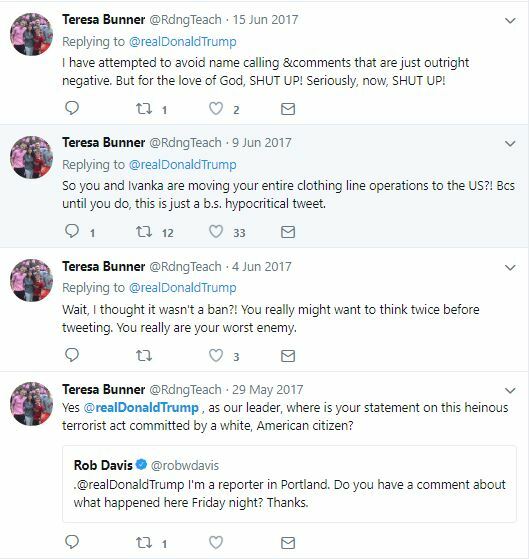 Teresa really loves our President. This screen grab is just one the of dozens of similar tweets. Folks can read about Wake County’s latest taxpayer-funded social justice infusion in the Twitter moment below. Then, ask yourselves, just how much more of this crap are we going to take? And on OUR DIME. Maybe it’s high time that parents showed up to the next school board meeting? #WCPSS Just Hired A SJW from known Hate Group the #SPLC. 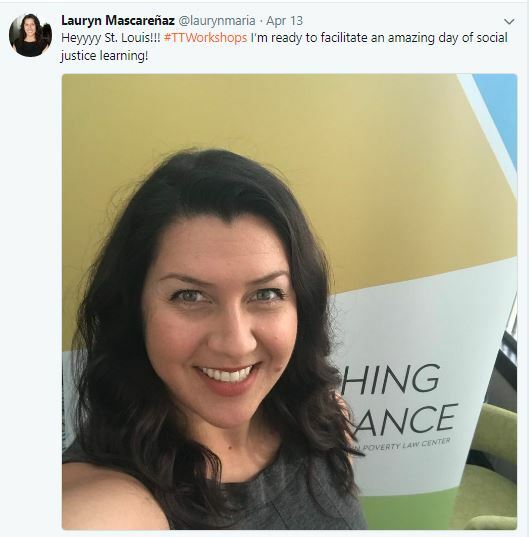 This entry was posted in #SJW, EDUCATION, Racial Justice, Social Justice, Wake County School Board, You Will Be Made To Care and tagged Lauryn Mascarenaz, SPLC, Teaching Tolerance, Teresa Bunner, WCPSS. Bookmark the permalink.